AUSTIN - Jack prepared to hit his ball on the No. 9 tee box. As he waggled his hickory stick club, his playing partner put a sudden stop to his routine. "Hold on! Here comes a horse and carriage," Harvey said as he pointed to the approaching buggy. Jack stepped away from the ball and let the horse and carriage pass through. After the animal and cart made its way through the ninth fairway, Jack hit his ball. The characters are fictitious. The situation is not. 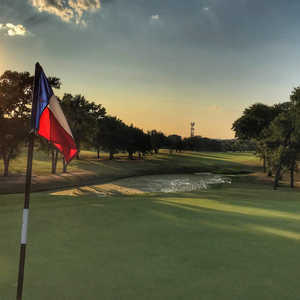 This type of scenario actually played out many years ago on the Hancock Golf Course in Austin according to current head professional Steve Darby. Darby, who has worked for almost 20 years at the oldest golf course in Texas and what is rumored to be the oldest course west of the Mississippi, has heard countless stories like this. Hancock officially opened as the Austin Country Club (ACC) in 1899 or more amazingly, in the 19th Century. Lewis Hancock and a group of 69 other Austinites joined together as members of the country club and spearheaded the purchase of the original acreage. The group built a clubhouse and nine holes that included sand greens and wire mesh traps. The first nine was sufficient for the ACC members for almost 15 years. Then, in 1913 the group purchased more land and a second nine was built to complete the 18-hole course. Darby said when the members opted to add the new nine, it was located in such a manner that several holes - Nos. 1 and 9 - crossed what today is known as Red River Street. As a result, horses and carriages occasionally crossed paths with the ACC golfers. In the 1930s, tragedy struck. The clubhouse burned to the ground. The club persevered and rebuilt a new clubhouse with bricks taken from the newly demolished main building at the University of Texas. Today, the white brick building known as the Hancock Recreation Center and Golf Pro Shop still stands and features a ballroom with hardwood floors, a kitchen, and three classrooms. Also located on the grounds are a basketball court, playscape, picnic tables and a small sports field. Although the fire was a tragic and disappointing accident, Austin Country Club did have a glimmer of good news during that same time period. One of, if not the most respected teachers of golf, began his career at ACC. Harvey Penick started his illustrious professional career at the course and remained with ACC for more than 70 years. In 1946 and almost 50 years after it opened, the ACC members wanted to move to a new location. As a result, the clubhouse and property were sold to the City of Austin for $175,000. 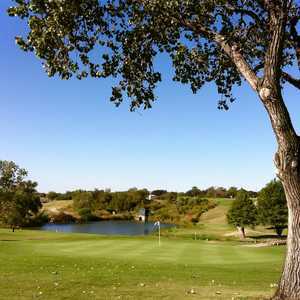 ACC members called the course home for another five years while the new facilities were built on what is today the Riverside Golf Course in South Austin. In 1951, ACC officially moved. Penick also left and within 20 years he would groom two of the PGA's most successful golfers, Ben Crenshaw and Tom Kite. 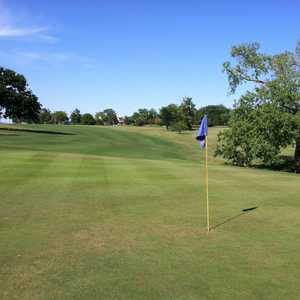 In 1951, with ACC no longer occupants, a motion was made before the Austin City Council to dedicate the land as parkland and to have the site remain as a public golf course. For eight years the public played what was at the time, one of the area's only 18-hole golf courses. In 1959, that changed. That year the city sold the 34 acres of land where the original nine was located to Homart, a Sear's development branch, for $720,000. Hancock Shopping Center was built soon thereafter and remains to this day. The remaining nine holes, despite being relatively short at 2,427 yards, provide a challenging layout with numerous carries up and down hills and over a creek that meanders through the course. The par 35 course features small, well-manicured, common Bermuda greens that are very receptive to incoming shots and are typical of the era in which they were built. Darby said the course has evolved through the years including the reshaping of some holes to accommodate encroaching roads, but for the most part, the remaining nine is close to its original design. Although there is some debate about the signature hole, many believe the finishing hole, a par 4 of 264 yards, is worthy of such designation. The distance is obviously short. Add into the mix that it plays downhill. The catch is a small pond in front of the green with a slight opening to the right side. The other hole that some consider the signature hole is No. 5, a par 4 of just 249 yards. Again, don't let the distance deceive you. This hole is a slight dogleg to the left only because a row of trees that runs along the left side juts out into the fairway. From the tee, you must hit over the creek to an elevated fairway while avoiding the trees. Any errant shot short or left will definitely elevate your score for the hole and the round. While Nos. 5 and 9 vie for the most visually appealing hole, there is no question about the most challenging hole on Hancock. No. 2 is a dogleg-left par 5 of 462 yards. This hole features a drive to a fairway with the main creek running the length of the fairway along the left side. Depending on where you hit your drive or second shot, your approach is across the creek through a narrow opening in the trees to an elevated green. Whatever hole you find most interesting or challenging on the course, it is definitely a round you'll remember. Approximately 48,000 golfers seek out memories on the course each year and that can create delays in the speed of your round. But that's not a large price to pay when you consider that you are playing on a piece of Texas and golfing history. From downtown Austin, take IH-35 north to the 38th St. exit. Go left or west on 38th St. until you reach Red River. Turn right on Red River. The No. 7 hole is immediately on your left. Take a left on 41st St. The driveway is on your left.